Apple’s fiscal third quarter earnings, announced Tuesday, showed a drop in the company’s profits year-over-year. But with new June-quarter records for the iPhone and revenue, and income still in the billions, Apple continues to forge ahead. 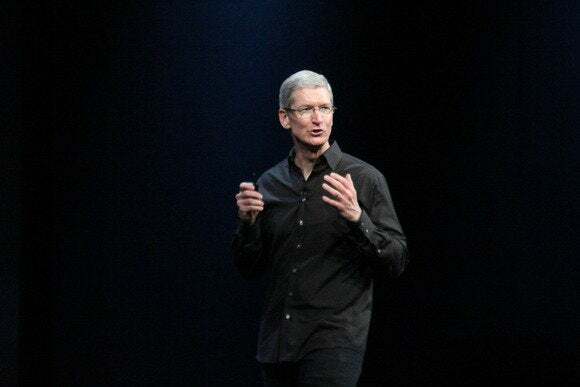 During the usual conference call with analysts, CEO Tim Cook took time to talk about the low-end opportunities of the smartphone market to iOS’s forthcoming car integration. 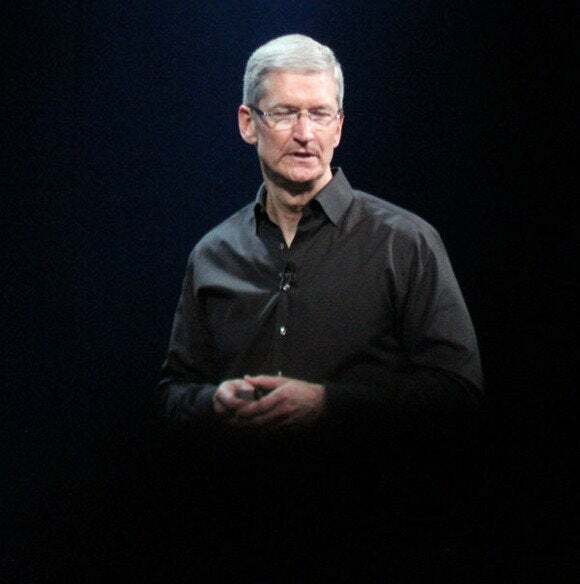 Here’s an edited transcript of what Cook had to say on Tuesday about Apple’s most recent quarter. From an iPad point of view, or iPad and iPhone, we reduced inventory, and reduced it fairly significantly. iPad was down over 700,000 units in the beginning of the quarter, and iPhone was down over 600,000. As you know from working with us over several quarters, we typically don’t like to have any more inventory than we need. And so if we can find a way to reduce, we do so, and we’ve done that in both of these cases. We also had slight decreases in the Macintosh area, and iPods. From a growth point of view, for Apple, our key catalyst will be—always will be—new products and new services, and these are both in existing categories that we’re in, and in new categories. In addition to this, we have opportunities in distribution, from carrier relationships to expanding our retail stores, expanding our online store, and continuing to expand the indirect channel. And we also have a market expansion opportunity; Peter mentioned enterprise in his comments, and the share positions that we have there are over 60 percent, in both iPad and iPhone. And I think we’re at the very front end of that. And so I think we have lots of growth opportunities. And then I don’t subscribe to the common view that the—sort of “higher end”, if you will—smartphone market has peaked. I don’t believe that. But we’ll see, and we’ll report our results as we go along. For us, if you look year over year, we had a 2.4 million unit decline, but 80 percent of that (or 1.9 million units) were just due to changes in channel inventory. As I think Peter referenced earlier, we reduced by over 700 in the current quarter, and in the year-ago quarter had an increase of 1.2 [million]. And so the underlying sell-through declined by just three percent. If you look at the situation that we were in in the year-ago quarter, we had just announced the third-generation iPad, which was our first iPad with a Retina display. We’d announced in March and said that this was our first full quarter. And so from what Peter and I expected 90 days ago, we hit within the midpoint of the range that we expected to hit in on iPad unit sales. And so it was not a surprise to us. In terms of how other people are doing, I don’t know. What I can tell you is, the most recent data I’ve gotten, which actually just came out, I believe, this morning, is that the iPad Web-share data shows that, through the quarter, we accelerated further and are now—iPad accounts for 84 percent of the Web traffic from tablets. Which is, y’know, absolutely incredible. And so if there are lots of other tablets selling, I don’t know what they’re being used for. Because that’s a pretty, y’know, basic function, is Web browsing. We feel really good about where we are. We had, as Peter had mentioned earlier, an incredible quarter in U.S. education, setting a new record for iPad. We’re really happy to be selected for the first stage of the 660,000-unit rollout at L.A. Unified and the really bold move they’re making to change teaching and learning. And we had double-digit unit growth in China for iPad, in Japan, in Canada, in Latin America, in Russia, in the Middle East, and in India. And so we’re really happy with what we saw. From an iPhone point of view, with the moves that we’ve made on [iPhone] 4, and with iPhone 5 continuing to be the most popular model, we saw very strong sales in several of the emerging markets, or pre-paid markets. India was up over 400 percent, Turkey and Poland were both up over 60 percent, Philippines were up about 140 percent. And these were—in addition we saw very strong iPhone sales in several of the development markets; for example, the U.S. was up over 50 percent, Japan up over 60, the U.K. about 50. And so we had several regions where iPhone growth actually accelerated from the previous quarter—which is an unusual pattern for us, and we were very very happy with this. China was weaker in the quarter, although the data sheet that obviously focuses on revenue doesn’t really tell the complete story here. If you look at sellthrough—as we’d mentioned earlier with the inventory changes, it’s important to do that—so our sellthrough in China was only down four percent from the year-ago quarter, when you normalize for channel inventory. Hong Kong was actually down more significantly than that; mainland China was actually up year over year, was up 5 percent. But that is a lower growth rate than we have been seeing, and y’know I attribute it to many things, including the economy there clearly doesn’t help us nor others. In Hong Kong—Hong Kong is an international shopping haven, as you know, for not only tourists but also some resellers. And we saw more dramatic downturns there, and it’s not totally clear exactly why that occurred. But it was down on a sell-through basis by about 20 percent, and so that weighed greater China down as you can see on your data sheet. We haven’t announced anything relative to a trade-in program, so what you’ve seen is rumor-oriented. There are a number of channels that do trade-in programs; now, not only in the U.S., but in different regions and the reason that it’s so attractive around iPhone is that the residual value of an iPhone stays so high and there’s so much demand for it. And so that makes the trade-in programs more lucrative to, or win-win from, many points of view. But we haven’t announced anything that we’re—that about anything. No, I’m not opposed to [trade-in programs]. I see channels doing it, and I like the environmental aspect of it, and so that part of it really is encouraging to me. I think it’s important to put it in perspective: If you combine the results and we haven’t in greater China, the revenues there were 4.9 billion for the quarter; and so that’s about 14 percent of the company. Which is very significant, and a few years ago, that was in the hundreds of millions. And so we’ve grown our business there significantly. We have a very strong market there, and in the last twelve months we’ve done 27 billion on a trailing basis. And so it’s a huge, huge business for us. Underlying the results are—if you look at iPad, sell-through in greater China was up 8 percent, but sell-through in mainland China was up 37 percent. So iPad’s doing remarkably well. The latest share numbers we’ve seen on—for iPad, for the tablet market—is over 50 percent, and year to date iPad units are up 48 percent year-over-year. And so there’s been great growth there. From an ecosystem point of view, we continue to attract a lot of developers from China. We now have about a half a million developers in China that are working on iOS apps, and that’s up almost 70 percent year-over-year. And so I think that’s fantastic, not only for China, but for outside of China, as many offer their apps through—in different stores around the world. We’re obviously paying developers quite a bit, and so that’s furthering the ecosystem of developers. We’re continuing to invest in distribution; we’re going to double the number of retail stores there over the next two years; and we’re continuing to lift iPhone point-of-sales and iPad point-of-sales, both of which are currently lower than where we would like them or need them to be. But we’re doing that very cautiously because we want to do it with great quality. And so I continue to believe that in the arc of time here, China is a huge opportunity for Apple, and I don’t get discouraged over a 90 day kind of cycle that can have economic factors and other things in it. The reference that Peter made earlier was to the iPhone 4, and what we’ve seen is that the number of first-time smartphone buyers that the iPhone 4 is attracting is very very impressive. And we want to attract as many of these buyers as we can. And we saw that beginning to happen toward the end of the Q2 timeframe, as I’ve referenced on last quarter’s call, and we did that on a wider-spread basis—offered the more-affordable pricing on a wider-scale basis this quarter—and continued to be very happy with what we saw. Where iPhone 5 continues to be the most popular iPhone by far, we’re really happy to provide an incredible high-quality product with iPhone 4 running iOS 6 to as many first-time smartphone buyers as we can. And I think it’s proven to be exactly a great product for that buyer. There’s always more weapons [to use in the market]. And y’know, we have more than one tool in the toolbox. But y’know it’s a great way for a buyer to get into the iOS ecosystem, and the customer sat[isfaction] ratings that we have with iOS 6 and the stickiness of the platform is huge. And so it’s great for customers, and we’re very glad to offer it. We’ll see, Gene. Y’know, we’re working up some stuff that we’re really proud of, and we’ll see how it does and we’ll announce things when we’re ready. I would classify [our relationship with our current carrier partners] as being good. The press I’ve seen on Russia probably needs some color, and the articles I’ve seen suggested that we are not selling iPhone through carrier-owned stores. If that’s the one that you’re referencing… If you look at the Russian market, over 80 percent of smartphones are sold in retail. They’re outside of carrier-owned stores. And we sell through a number of national chains there. And in fact, our activations in Russia for iPhone were—set a record last quarter, it was our highest quarter in Russia ever. And so we’re really happy with how we’re doing there. We do continue to sell through some carrier-owned stores as well, but obviously the contribution is much less than the retail organizations and so forth. And so I think that’s probably not well-understood there. We are continually looking for other relationships to both add and enhance the ones we’ve got, and I do think there’re some opportunities there for us. Sure. We certainly have no problem procuring [supplies]. In terms of where we see pricing headed, and this would have been factored into the gross margin guidance that Peter gave earlier, despite the very very weak PC market, DRAM pricing has actually increased. And we see continued upward pressure in this area. NAND pricing is fairly stable, and it’s following seasonal trends we would expect. Both LCDs and HDDs have, the prices have fallen, and we would expect further reductions in these areas. And if you look at other commodities, they appear to be in a supply/demand balance, and so we would expect the pricing to decline on these at sort of historical levels. I think about it differently than that. The way I think about it is we’re here to make great products. And we think that if we focus on that, and do that really really well, that the financial metrics will also come. And so we don’t see those two things being mutually exclusive. We see them having great overlap and I think if you look at how the company’s executed over many years, it would suggest that that’s possible. We start at the product, because we believe that the most important thing is that our customers love the products and want them. Y’know, if you don’t start at that level, you can wind up creating things that people don’t want. And so we’ve tried very hard to focus on products and customers—enriching customers and making great products. In terms of… we don’t project ASPs, we do give guidance—we have an assumption on the ASP for the current quarter in our guidance, obviously, to come up with the numbers that Peter talked about earlier. If you look underneath the iPhone numbers as I think Peter alluded to earlier, we saw significant growth, clearly, in the lower price point, year-over-year, which for us is iPhone 4. It’s still a great product. And that was one of the things—and the iPhone 5 doing well—that allowed us to significantly beat what I think was probably the vast majority of expectations out there for iPhone sales. And so, obviously if we do a lot better at the low end, then we sell more of those, and the mix changed—it has changed across the last year. If you look at [iPhone] 3GS last year, which was in a comparable position as our entry product, we’re selling a lot more [iPhone] 4s than 3GSs. I think we both understand the market much better, and have our fingers on the pulse of distribution in different countries, and so forth this year. I’m sure that we’ll get better and better at that over time, and how that will change mix, I don’t know. Typically for us, a product has the highest mix during its initial few months of sales. And so you’d have a natural kind of seasonal decline over time of the product cycle. That generally happens on iPhone, it generally happens on iPad, we’ve seen it happen on the Mac over many years. And so I don’t see anything that fundamentally would change that, but again we’re going to look at this thing quarter by quarter, and tell you how we look at the quarter, and give you guidance for it as we go. I see it as very important. It is a part of the ecosystem, and so just like the App Store’s a key part of the ecosystem, and iTunes and all of our content are key, and the services we provide from iMessaging to Siri and so forth, having something in the automobile is very very important, it’s something that people want, and I think that Apple can do this in a unique way and better than anyone else. And so it’s a key focus for us.